As a literacy loving teacher and mom I strongly believe that technology has a place in education with well selected, developmentally appropriate shows and games. 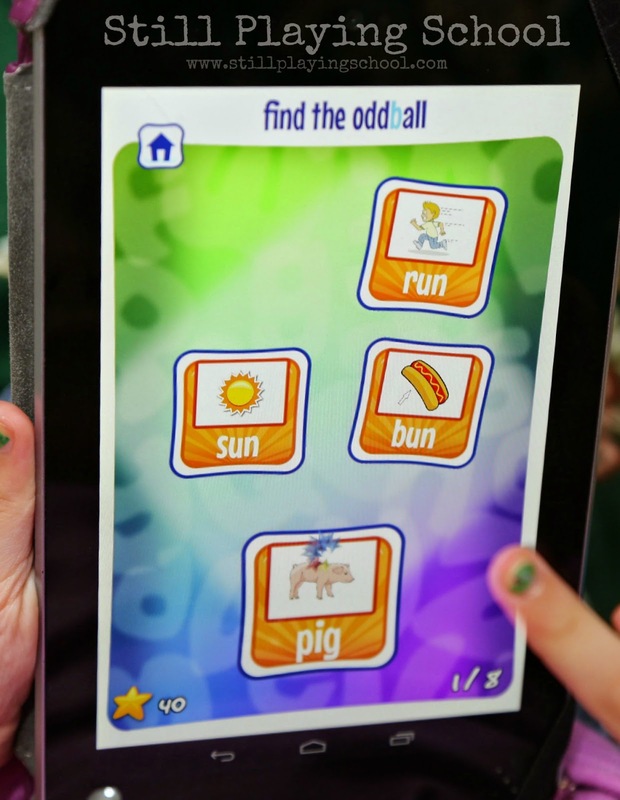 With This Reading Mama's Short Vowel Word Study app that place is right on our tablet in our emergent reader's hands! 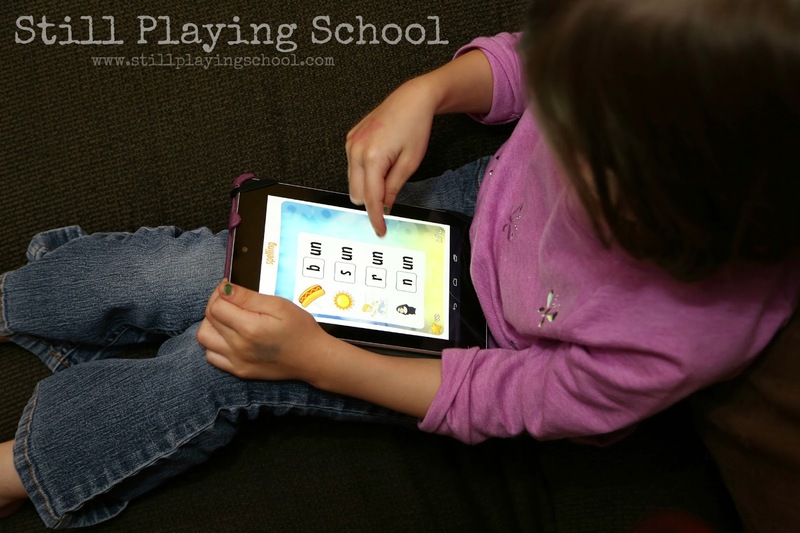 I've been telling you for years how much we love Reading Eggs and Starfall as a technological way to support our preschooler's developing reading skills. That being said, I am very picky and particular about the games and activities we purchase and download. Educational merit isn't enough in my book (pun intended) when it comes to quality literacy learning tools. I also look for a program that will grow with my child's level of understanding. 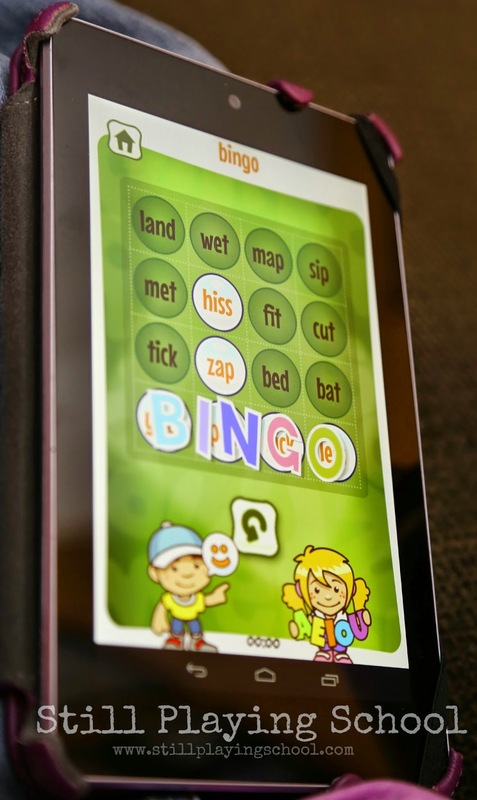 The Short Vowel Word Study app has three levels of learning: word families (like cat, bat, rat, sat), short vowel words (CVC words like dog, web, and fit), and longer words (CVCC words like tick and CCVC words like shut). Right now E is competent and confident in the word family level and starting to play in the short vowel words for a bit more of a challenge. We can decide which level depending on if I'm next to her to assist or if I need her to complete a bit of independent study time. - Find the Oddball is a bit like Sesame Street's old game One of These Things is Not Like the Others! Children select the word that does not follow the same spelling pattern. - Word Sort is categorizing by word families or other similarities (vowels, chunks, etc.). 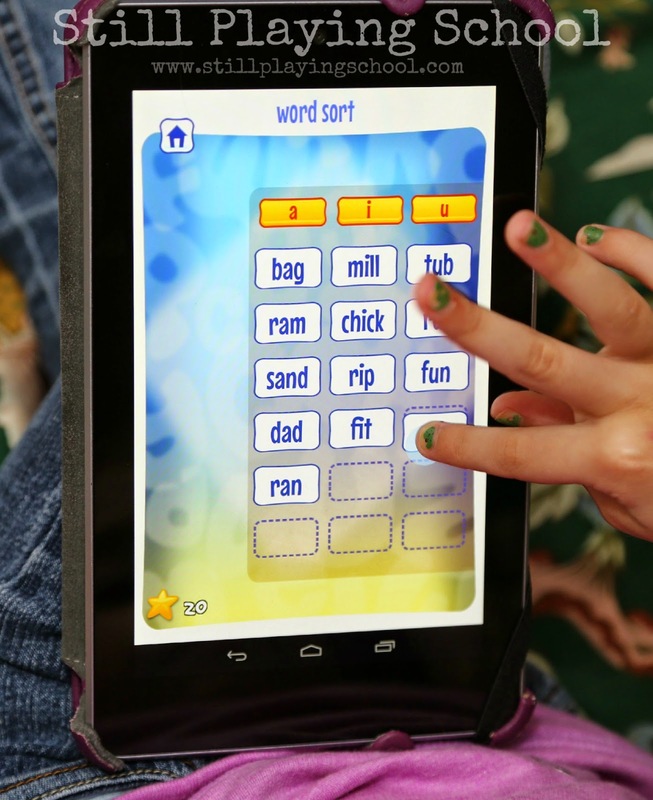 - Spell It asks kids to spell words with letter tiles. - Write It Children hear, trace, then write each word. I asked four-year-old E her opinion about the best part of the app and she named two favorites. She loves writing the words in the Spell It section (Of course she does, my little writer! I love that she can use her finger or a stylus. She struggles with her pencil grasp so again, this is a decision we can make based on what we've already worked on in our homeschool preschool day and our patience.) and earning Gold Stars to unlock the Word Fun section. She really loves this BINGO game! We both look forward to curling up with a great new reading resource to change up our learning on the go or at home! 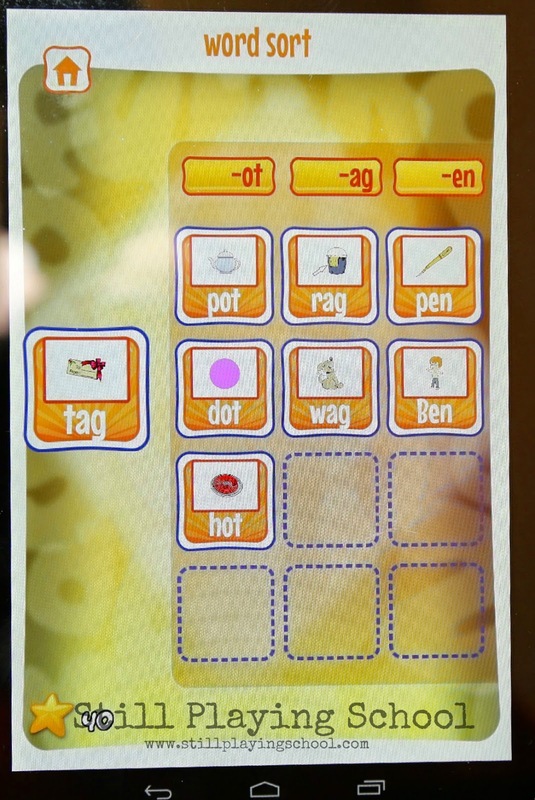 The Short Vowel Word Study app makes literacy learning easy, accessible, and fun. It is available for sale both at Google Play and iTunes for only $2.99. 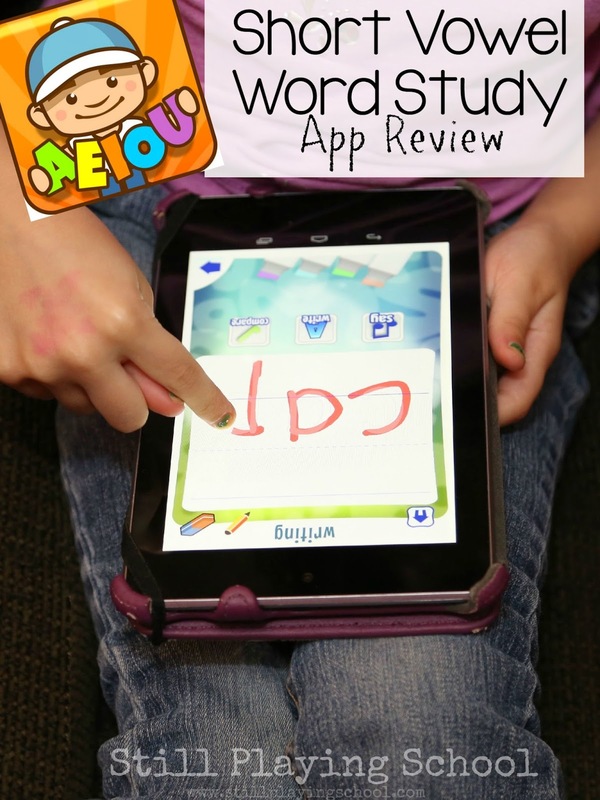 We received a free download of the Short Vowel Word Study app to write this review but as always all opinions are 100% our own. If you own an Android device you can enter to win the Android version of this app below.